Chocolate mousse, graham cracker streusel, and toasted meringue. A s'more, but different! Read my thoughts on the gluten-free trend. The textures in this dessert take it to the next level. 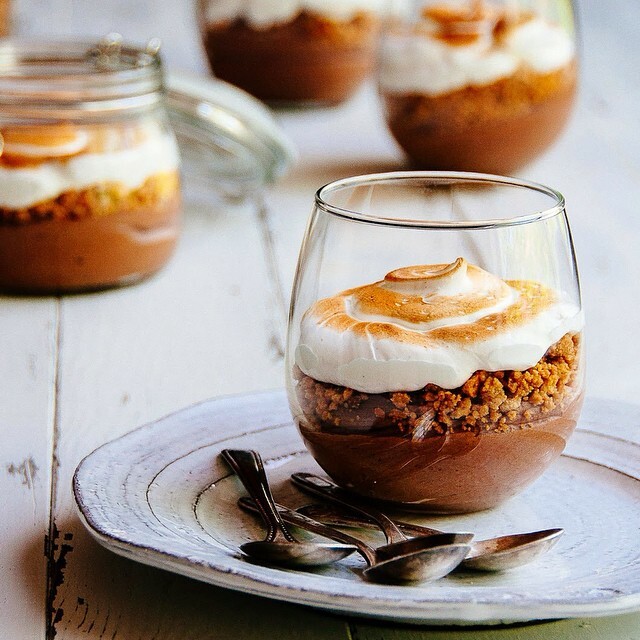 The smooth-bitter dark chocolate mousse, crunchy-buttery streusel, and creamy-sweet toasty meringue are taste bud heaven.